"I don't know, it seems to be a bit of a better choice than further wine consumption at this point?" the hubs says, handing over a suspicious looking, yet slightly delectable treat. "Just eat it - you look like you've had a day." So eat it I did, and you know what? He was right: delicious. Two Ritz crackers slathered with a layer of cream cheese frosting in between=salty and sweet amazingness. Not to mention an inexpensive add to the emotional eating menu that is sometimes mandatory for we women of the world. 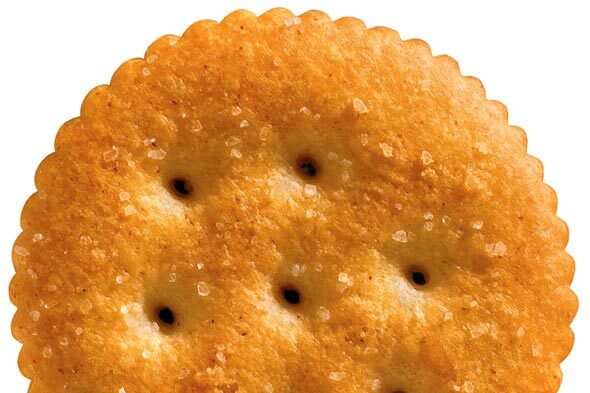 Go ahead...put it on the Ritz.